The core role of a paraplanner is to assist advisors in preparation and planning. Approach Paraplanning can add value in all client contacts. We use the term client contacts as our Paraplanners also can implement and assist with your client review process, meeting preparations and quote comparisons. We are equipped to assist in the FNA process for new clients as well manage the task of reviewing portfolios for existing clients. We believe in learning concepts rather than content which means we can apply our minds in all contexts. Our team is resourceful and works very closely with our administration team. Many advisors are seeing the benefits of this collaboration, we run the pre-appointment work and the administration team manages the post-appointment work. For more information regarding the process hover over each step. This process shows the general steps taken in the financial planning process when a Paraplanner is included. These steps are in no way cast in stone and vary for every advice practice. Generally in this first meeting the client would read, complete and sign your disclosure document, the service level agreement and an authority note allowing access to their personal information or appointing you as their Advisor. This meeting may not look the same for every practice but in principal it will cover the same criteria. The second component of this meeting is the gathering of information and facts. Asking the right questions is possibly the most crucial aspect of this step. Professionals are known for asking probing questions and being able to extract all the critical information required for the planning process. 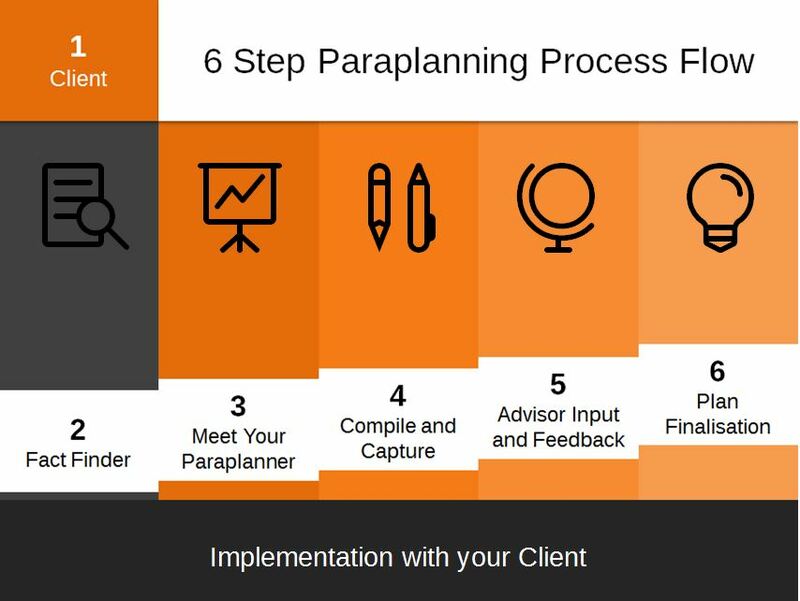 This process is between you and your client but it will form an integral part as to how valuable your Approach Paraplanner will be to you and the planning phase. This is the most important step in setting up an effective planning process. Paraplanners thrive on accurate information; it allows them to achieve the highest level of detail in both the planning and reviewing phase. Our Paraplanners work with all systems and with a little assistance will be able to capture client information on any system. We believe in training a concept instead of the content so that we can apply our knowledge in any context. In this meeting with your notes and the necessary details of your client the goals, expectations and outcomes are discussed. This aims to assist the paraplanner with some of the basic assumptions and outlines to be captured. This meeting can take place via Skype, telephone or mail. With all the information gathered and the assumptions discussed in the meeting, our Paraplanner will capture all information necessary for you to generate the relevant plan. Our Paraplanners will over time be able to anticipate your needs however we try our best not to make assumptions unless by your instruction. As mentioned in previous steps, our Paraplanners are trained in numerous Needs Analysis tools. We make it our aim to be customisable and adapt to whatever system you use. It is important to have a system and we will use the one you have in place. If you don’t have any system we have experience and can provide some input for a system that may suit your needs. The capture process should not be started until all relevant information is present. Time estimates for this process are challenging as it is based on the accuracy and completeness of information provided by you and your office. This is generally the process that impacts most on the fee as incomplete and missing information creates delays in the process. Once all information is present the data is captured and you can generate the first draft. Once you generate the plan, you would work through the draft in preparation for your meeting noting any grey areas or amendments. All amendments you will send to Approach and your Paraplanner will make the necessary amendments. This draft will also give you the opportunity to consider the quotations and recommendations you wish to propose to your client. It is worth mentioning that our Paraplanner can assist in compiling quotes and premium comparisons at an added fee. This entails comparing product providers on a like for like basis and also capturing the quote information on any comparison template that you use. Our job is almost done! You can now generate your final plan with your recommendations and the adjustments you wish to make. It is important that you know what you want, that way you will know that you got it when you have it. Clear instructions in all the steps leading up to this step will ensure the outcome is a product you are comfortable and confident to deliver to your client. All that is left now is for you to arrange the appointment with your client. Make sure you have all relevant documents and now you are ready to see your client. Lucky enough to be using Approach for your administration? Then all that is left to do after seeing the client is to scan in the application forms and send it to us with an instruction. All fees indicated below are approximates based on once off services. If you are interested in the services we recommend contacting us, by providing us with an outline of your processes and needs we can tailor a solution and a fee to suit you. We are Approachable! The service entails capturing all relevant client information as well as the plan details required to generate the plan on your FNA system. This process includes a revision process. 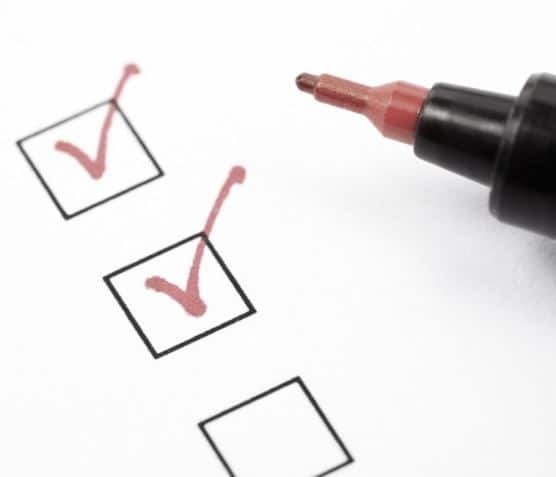 Once the first draft is generate you can request any changes that are needing to be made before you capture your recommendation and generate your final plan. Assessing to see whether your client has the best cover both in terms of price and benefits is Important. Quote comparisons are crucial for both new and existing clients. It forms part of servicing your client while possibly generating new business. Often the challenge when collating quotes is needing to make sure that the premium patterns and benefits are all as similar possible in order to compare accurately. Often the back and forth between you and your consultant costs more than just your time. Our base fee is based on 3 like for like quotes with a summary capture into your template. If you require additional quotes comparing benefits, waiting periods, premium patterns or commission structures our Paraplanners will be happy to assist you at revised fee. We will consider reducing the fee based on the volumes. Client reviews are a vital part of maintaining and growing a financial practice. If you assessed your book you are likely to have many clients whom you do not have the time to see but they may require your assistance. Streamlining your review process will allow you to make brief contact with all your clients and rapidly assess whether you need appointment could be income producing. Advisors are doing this by using our review process. The Approach Paraplanner collates your clients’ policy information and then captures it into a portfolio template of your choosing. This draft email with the portfolio summary with all statements is sent from you to your clients with a set of review questions. Based on the answers to these questions you can quickly determine if a meeting is necessary. If nothing has changed for you client you have completed a review without using your time for a formal meeting. This service does not look the same for every advisor but we believe with our adaptable approach we will be able to design a process that suits you. Advisors also couple this service with the 3 quote comparison service. The price is based on the process above. We will consider a reduced fee based on the volumes and a regular agreement. This services has been added by request. The process is a combination of the 2 services above. In the process of reviewing a client they are proactively able to offer cover comparisons on their existing cover. Advisors are not doing this for every client as this is more costly and perhaps not necessary for every client. The service is being used by advisors whose clients are maybe on Blue status with Discovery or they know a product has come out that will be an enhancement to their client. These comparisons are completed to your own criteria and set up. We use templates based on your design and company details. We have a number of templates to work from that can be customised to your needs. Drawing on our experienced network of industry consultants we can assist in revealing the strengths and drawbacks of each product. The product comparison is largely subjective depending on your clients, their age, occupation and needs, that being said our Paraplanners will be able to offer insight into different products and provide second opinions. In the assurance industry premium is a key factor linked to persistency and lapse ratios. By being able to see the premium escalations and cover increases one is able to determine whether the proposed cover will be sustainable. This can be included in a benefit comparison or can be done separately. Sometimes the TER is not always a clear indication on the cost of an investment. We can, using your portfolio or proposal template compare the cost of each fund and the portfolio based on the current fees charged. This is usually a comparison done between platform fees, management fees, administration fees and performance fees. This is specifically but not limited to a life company RA transfer. Exorbitant fees and expenses often make a life RA a poor investment vehicle. However transferring from one of these RAs often attracts a penalty this comparison looks at the impact of fees and penalties on an investment over time. Astute draw down- Using the information of your clients to see both a summary of current cover in place and also to assist in creating an accurate and detailed financial illustration for each client.